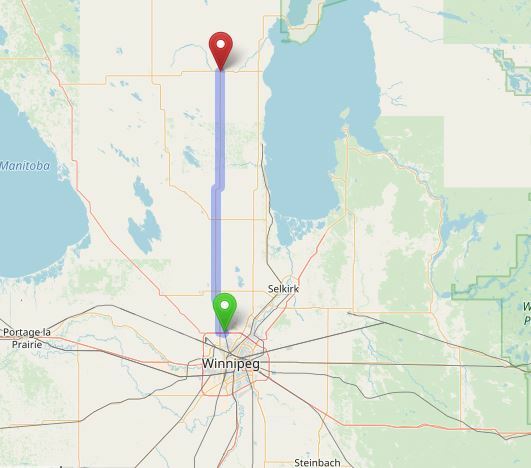 PTH 7 is a major route for commuters and truckers in the Interlake region, serving, among others, the communities of Stony Mountain, Stonewall, Teulon, and Arborg. South of the Perimeter Highway, PTH 7 continues south as Route 90/Brookside Boulevard, where it runs into a hub of trucking companies at Inskter Boulevard. Click here to show the route. It is twinned and divided from PTH 101 north past PTH 67, then it narrows to a two-lane undivided highway for the remainder of its length. 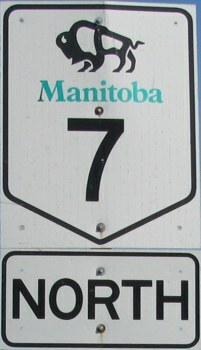 Southern Terminus: Junction of PTH 101 and Route 90 (Brookside Boulevard) north of Winnipeg in the RM of Rosser. Northern Terminus: Junction of PTH 68 at Arborg. Multiplexes: PR 321 follows PTH 7 for 1 mile near Stony Mountain, PR 231 follows PTH 7 for 2 miles north of Fraserwood. RM of Rosser 0.0 Junction of PTH 101/Route 90. RM of Rosser 8.2 Southern junction of PR 321 (Road 72N). This road serves as the boundary between the RM of Rosser and the RM of Rockwood. RM of Rockwood 9.9 Northern junction of PR 321 (Road 73N). RM of Rockwood 16.8 Junction of PTH 67. RM of Rockwood 21.7 Junction of PR 323. RM of Rockwood 29.9 Junction of PR 236. RM of Rockwood 43.0 Junction of PR 415. Town of Teulon 44.7 Junction of PTH 17. RM of Armstrong 58.8 Junction of PR 229/Road 102N. This road serves as the boundary between the RM of Rockwood and the RM of Armstrong. Village of Fraserwood 73.6 Southern junction of PR 231/Road 111N. RM of Armstrong 76.7 Northern junction of PR 231/Road 113N. RM of Armstrong 98.1 Intersection of Road 126N. This road serves as the boundary between the RM of Armstrong and the RM of Bifrost. Town of Arborg 102.7 Junction of PTH 68.